What Makes Alcohol Treatment Programs Work? How can you tell if an alcohol treatment program or facility is effective? What are the components and ingredients of programs that get the best results? Ensuring Solutions to Alcohol Problems, a research-based project at George Washington University Medical Center, reviewed research literature and consulted with professionals in the treatment and rehabilitation industry to identify 13 active ingredients of effective alcohol treatment. Early detection, including screening and brief interventions (for non-dependent problem drinkers). The earlier the treatment for drinking problems begins, the better the chance for success. Comprehensive assessment and individualized treatment plan. Treatment for alcoholism and drug abuse is not a one-size-fits-all proposition. Not all patients require the "acute care" approach. Care management. Treatment programs need to be carefully managed every step of the way, sometimes involving family members and friends, from the initial assessment through continued follow-up after the intervention program ends. Individually delivered, proven professional interventions. Several interventions, based on different treatment philosophies, can be effective in reducing alcohol consumption depending on the patient's gender, the severity of dependence and motivation to change. Effective treatment programs will offer more than one approach. Contracting with patients. Also called contingency management or behavior contracting, contracting with patients to reward good behavior and to punish bad behavior can improve treatment outcomes. Social skills training. The basis for cognitive behavioral therapy, people with alcohol problems can be taught to recognize stressful situations, in which their drinking has been a problem in the past, and skills to help them cope with those situations. Medications. Medical treatments cannot "cure" drinking problems, but they can be combined with other interventions and therapies to produce a treatment that is even more effective. Specialized services for medical, psychiatric, employment or family problems. Treatment programs need to be targeted at the individual needs of the patient through "problem-to-service matching." Continuing care. Most who enter treatment have at least one relapse. Follow-up contact, as well as participation in support groups, have both been shown to improve long-term treatment outcomes. A strong bond with therapist or counselor. Research shows that counselors and therapists who bond with patients through empathy, rather than confrontation, are powerful motivating influences in alcohol treatment. Longer duration (for alcohol dependent drinkers). How long a patient stays in treatment matters more in most cases than if a patient is treated in an inpatient or outpatient setting. Studies indicate that outpatient treatment lasting less than 90 days results in poorer outcomes. Participation in support groups. 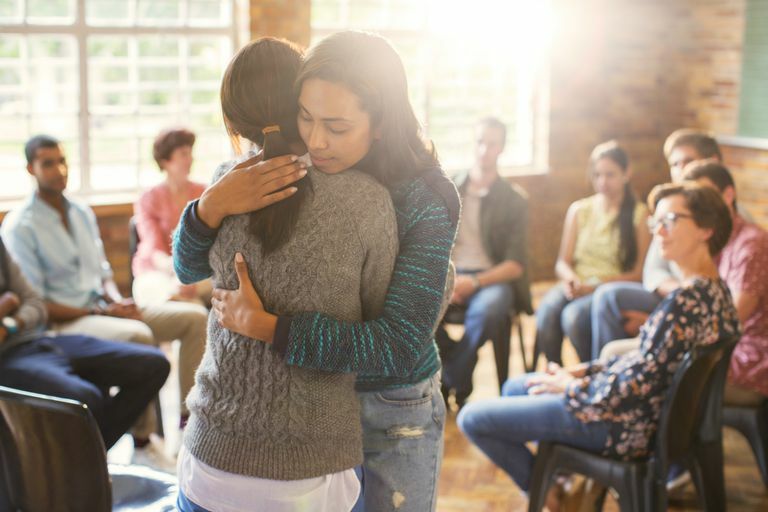 Project MATCH and other studies in the 1990s definitively proved that participation in support groups, such as Alcoholics Anonymous, can be an active ingredient of treatment— both during a professional intervention and after. Strong patient motivation. All approaches to alcoholism recovery depend on the desire of the person to get and remain sober. Effective treatment programs enhance this motivation with intervention and therapy. Ensuring Solutions to Alcohol Problems, The George Washington University Medical Center. "The Active Ingredients of Effective Alcohol Treatment." June 2003.